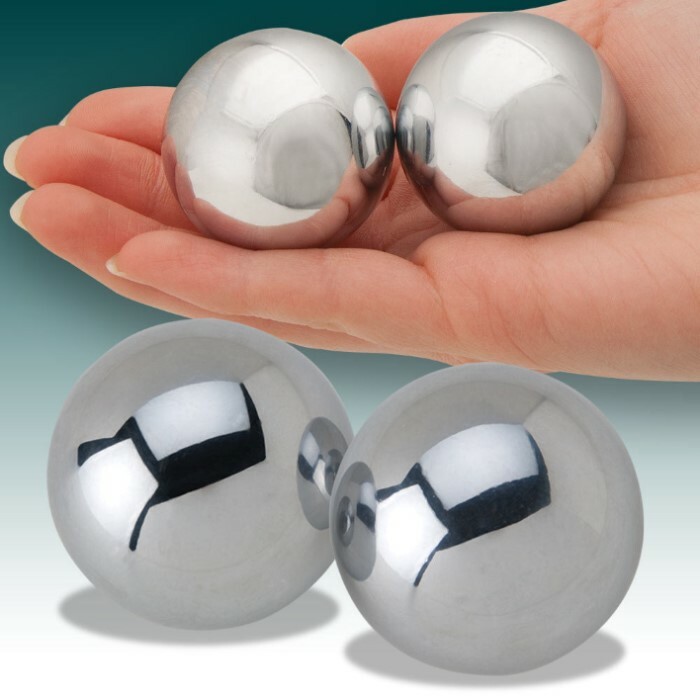 Chrome Chinese Tranquility Balls | BUDK.com - Knives & Swords At The Lowest Prices! Sounding plates are quiet, but do sound relaxing. Box seemed kinda cheap, but functions fine. Great decoration and relaxing, like the chime when used. Very nice. I like the soft, mellow tones given off by the sounding plates inside. I have spent a good hour with these and am very pleased with the relaxing, meditative feel to them. perfect edition for thinking alone in the late midnight hours and, for looks in my room. I am glad I ordered this it came very shortly after I ordered it in excellent condition. I would recommend this to anyone who finds it appealing. After having suffered the bodily effects of two strokes, I was keen to continue my rehab and happened upon these. good for the price, chimes inside are barely audible when in use but all in all a descent item. Smaller then I would have liked, and slightly cheap looking but still a good purchase.